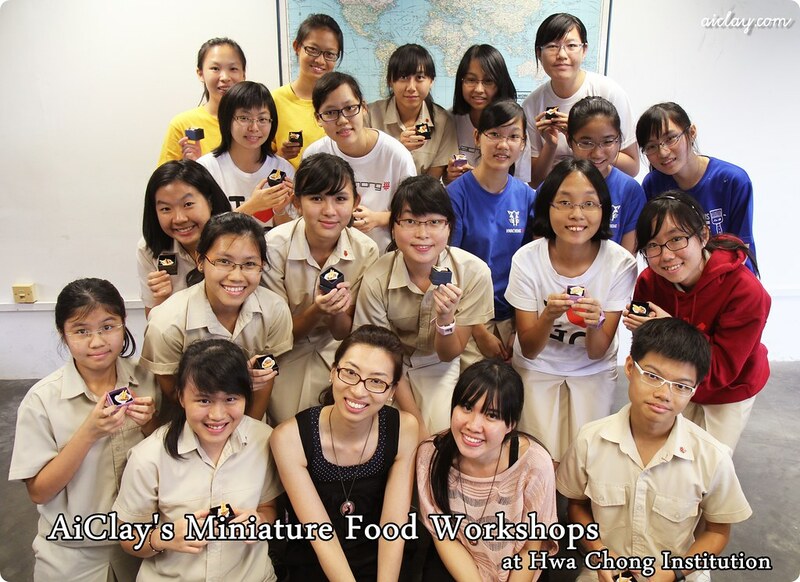 AiClay - a Haven of Miniature Food: Biggest craft workshop (so far) ! 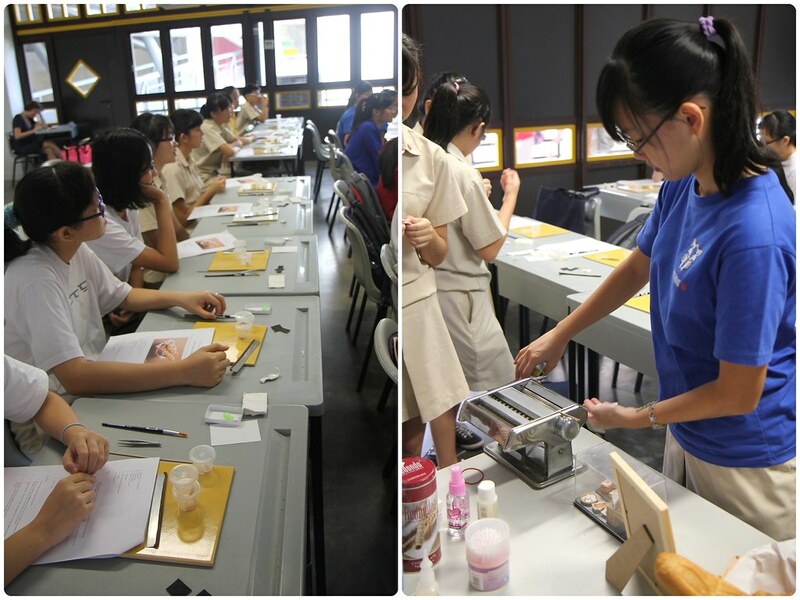 Biggest craft workshop (so far) ! That's 40 miniature baskets of breads made, enough to feed a village eh? 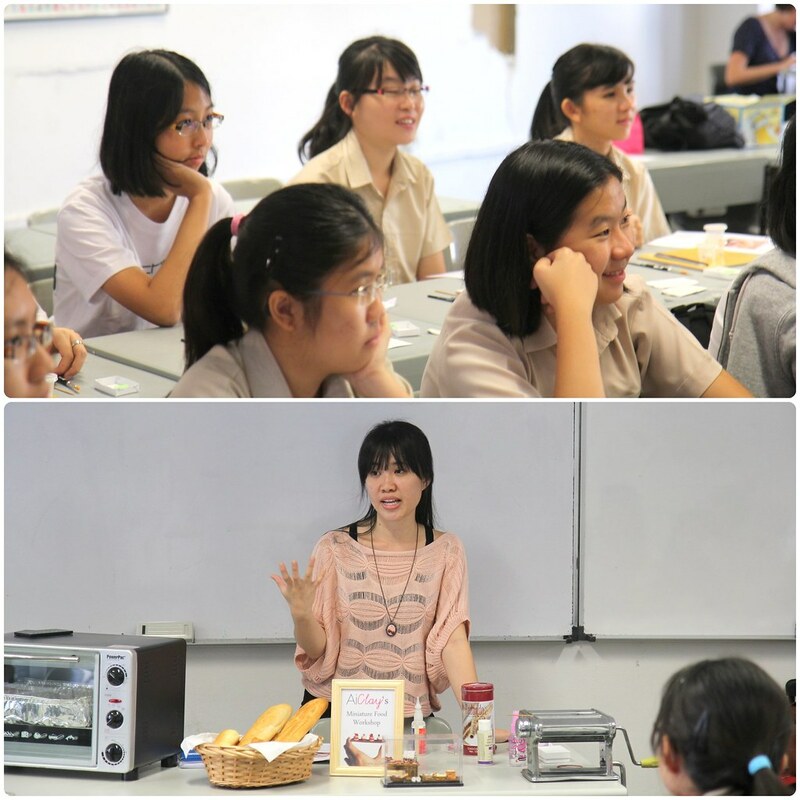 They were absolutely darling to teach, and so polite too! Every time I handed them a tool, or helped them with a question, they would thank me warmly. When me and Jackie (AiClay Fellow Helper for the day :)) were walking around the school compound, some students even bowed to us in greeting! It did take a bit of getting used to haha. As usual after my workshops, I have lots of photos to share. So there'll be minimal talking here, just many pictures. Especially love the snapshots of their concentrated looks, bent over their little works. And when they're smiling and relaxed, always nice to know they're having fun. 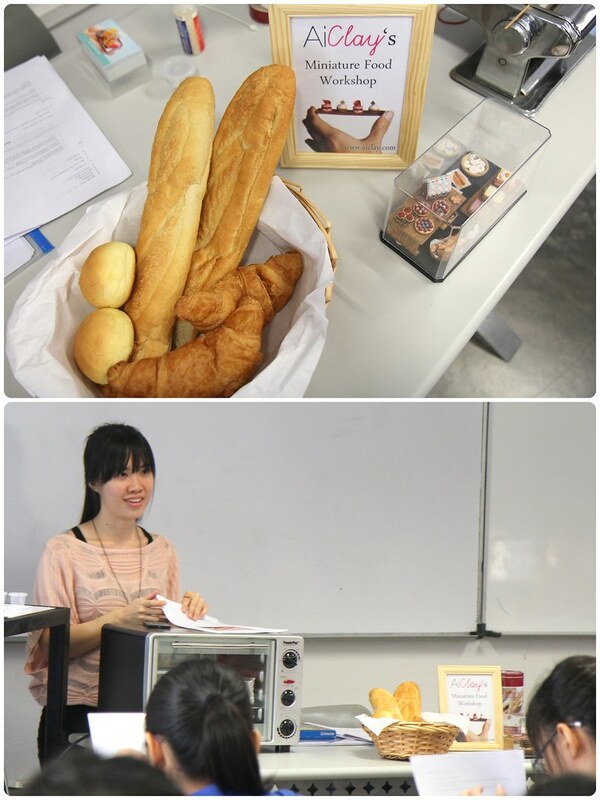 Oh yes, that's a life-size bread basket in the next photo by the way. ;) This was the first time I brought in the real thing when we're sculpting the miniature version. 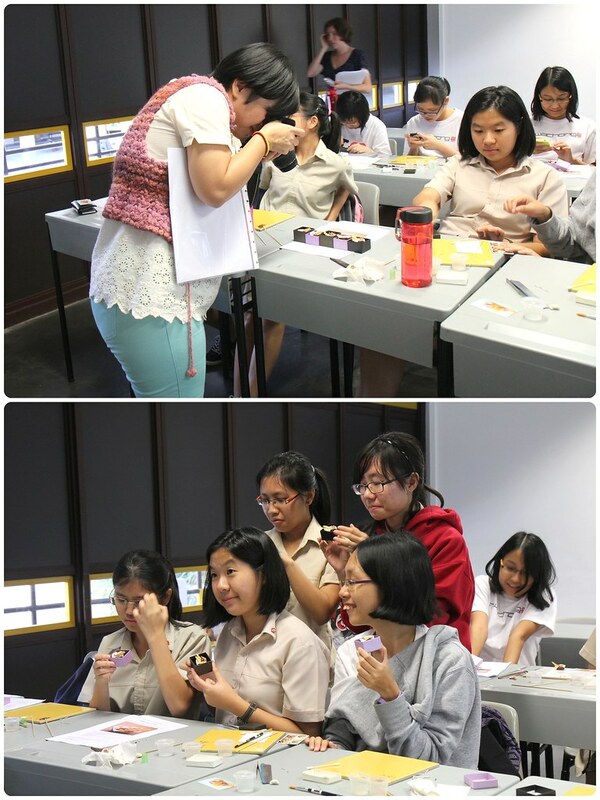 And my, the reactions from the students whenever I put the miniature version beside the real one were priceless! 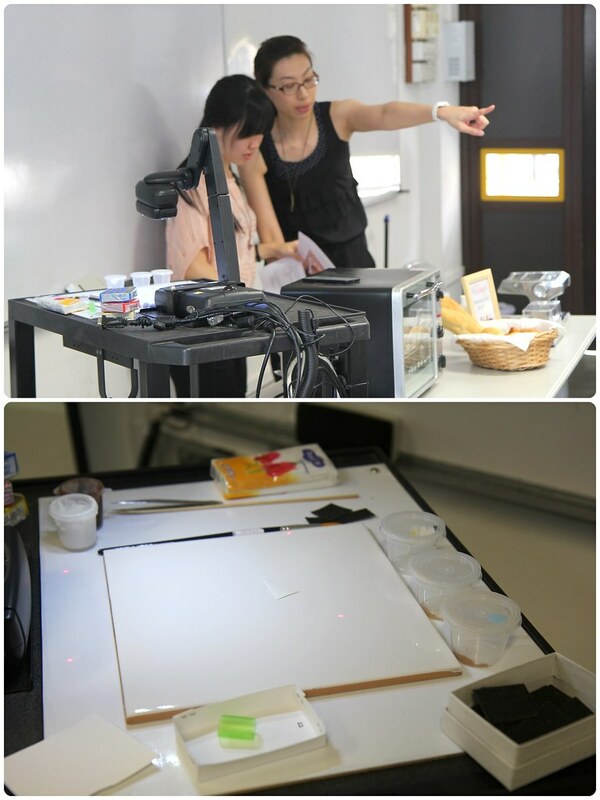 Definitely would try to do that for my future workshops. 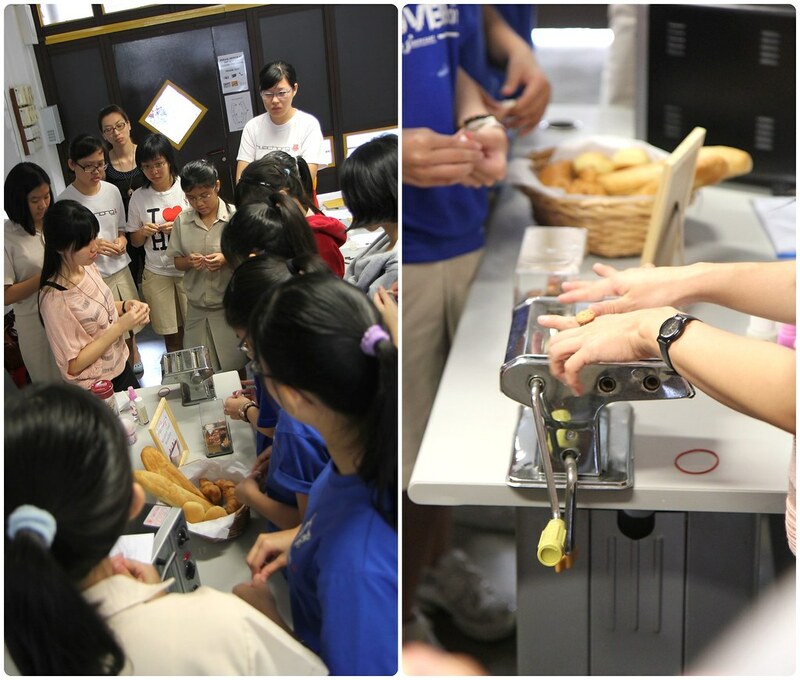 I always feel a tad like a sales promoter during the demonstration on how to use the pasta machine lol. 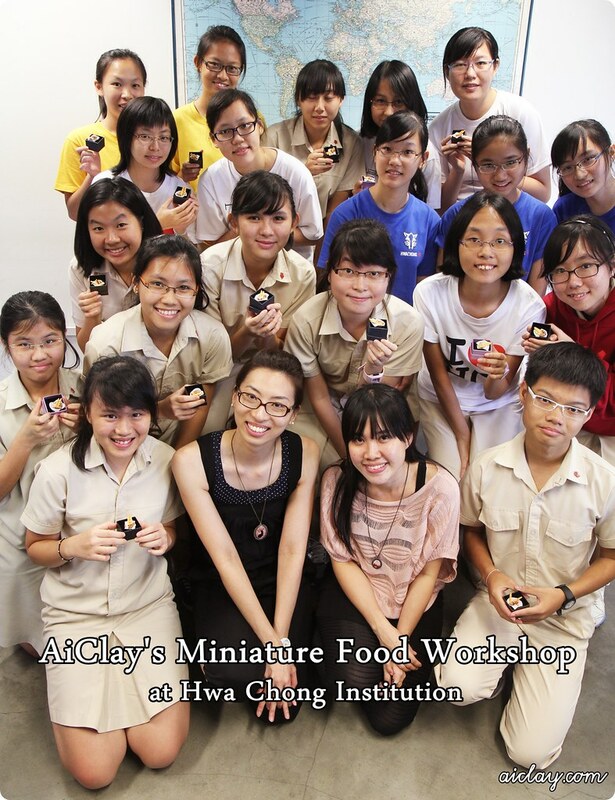 If you would like to have a Miniature Food Workshop conducted at your school/event/company, just email me at buzz@aiclay.com and we'll talk more then! 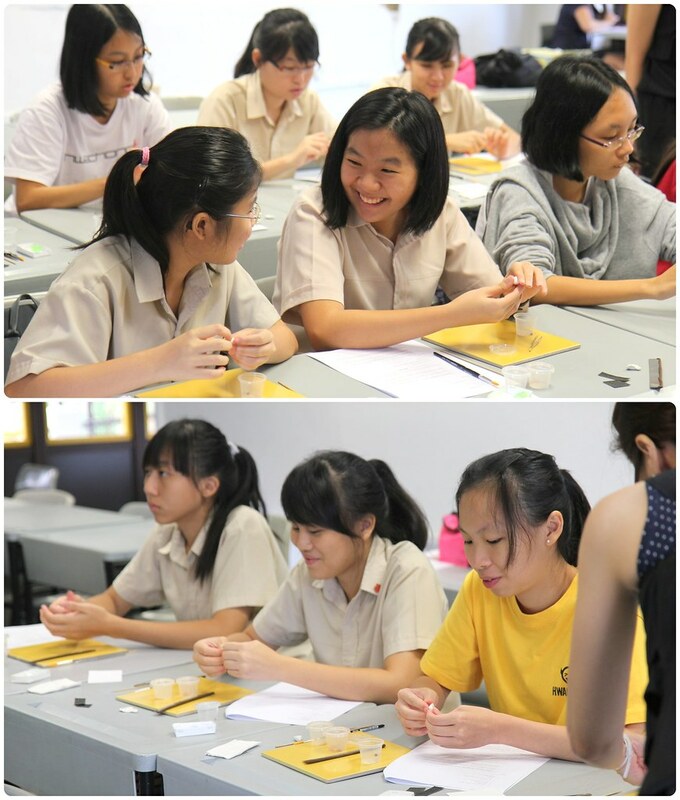 Who knows, AiClay's Workshop might be popping by your school next! Andddddd, I'm hoping to hold a few Christmas-related Miniature Food Workshops this November and December. Yep, I did say A FEW. :) So keeping my fingers crossed and do check back this space for more! Or just subscribe to AiMail and let me do the work for you. 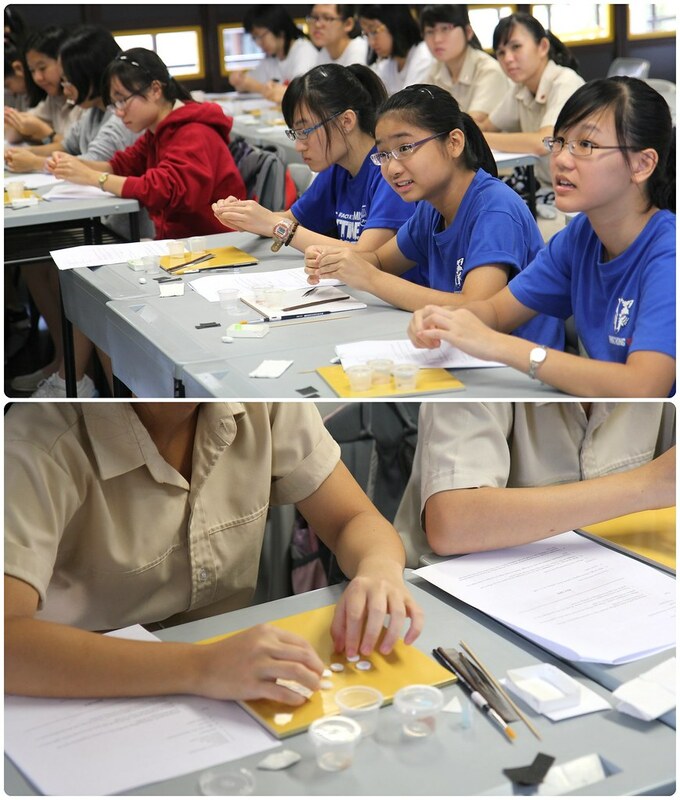 P.S I only had photos of the first day at HCI, as I left my camera behind for the second day. If you're one of the students that day, and have photos to share with me please do! :) Just share them on the facebook page. The smiles on those young lady's faces say it all. What fun! A crumb cake to take away.